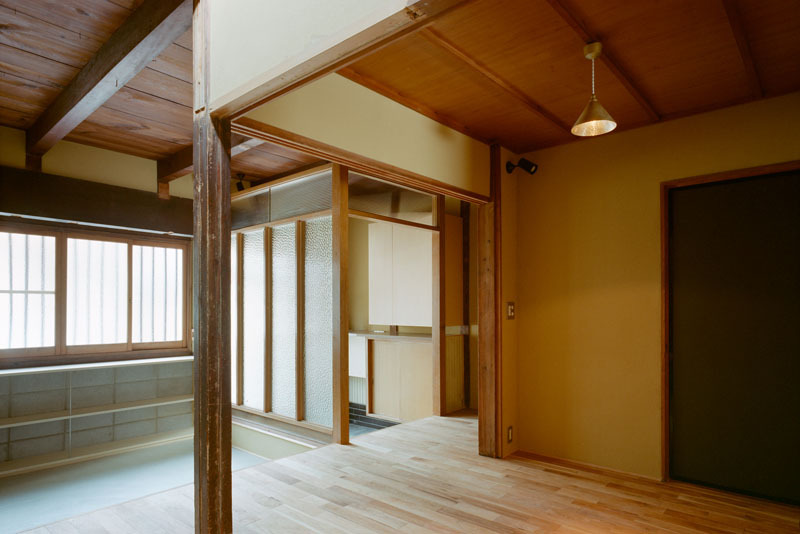 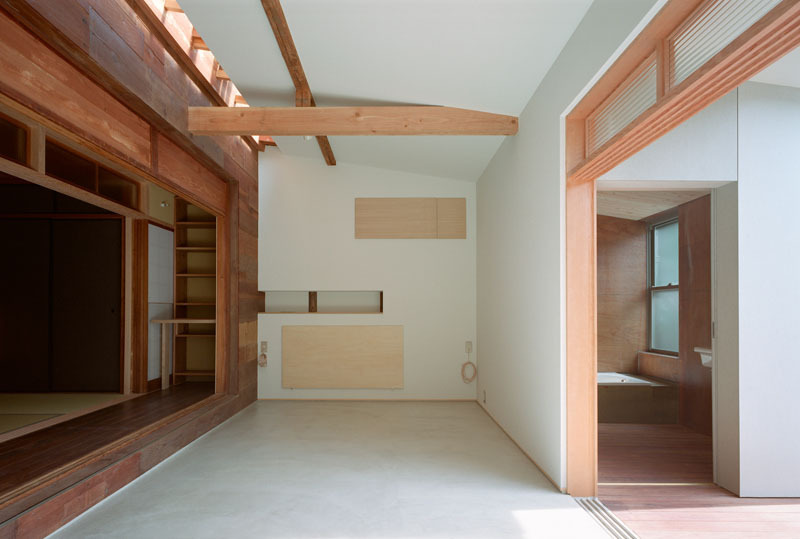 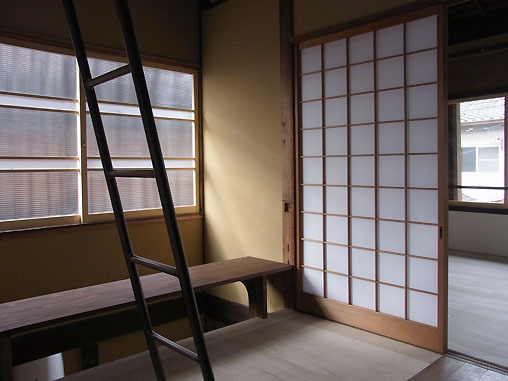 This is a combined restoration/remodel of an old Kyo-machiya (Kyoto-style traditional urban dwelling) in north Kyoto city. 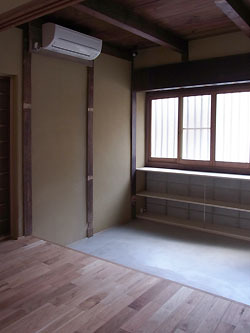 It was built circa 1935 and had been empty for the last ten years. 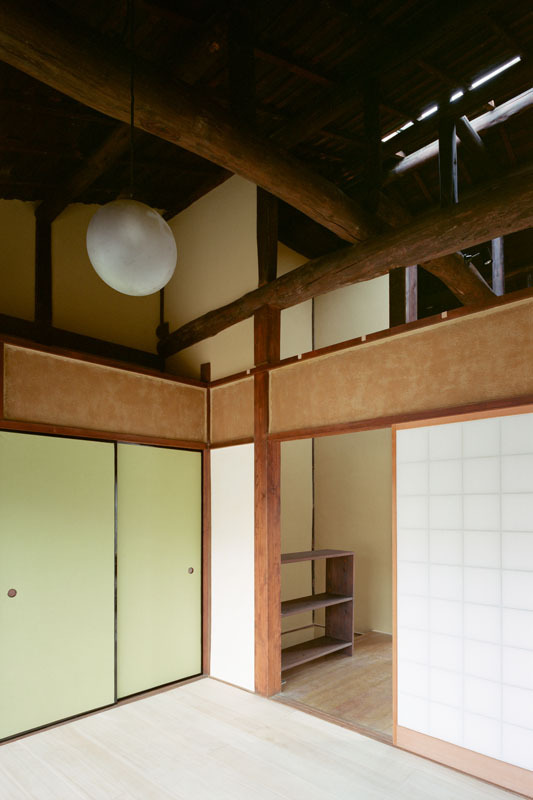 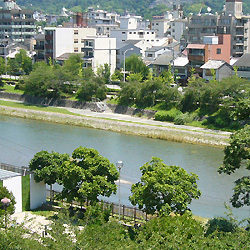 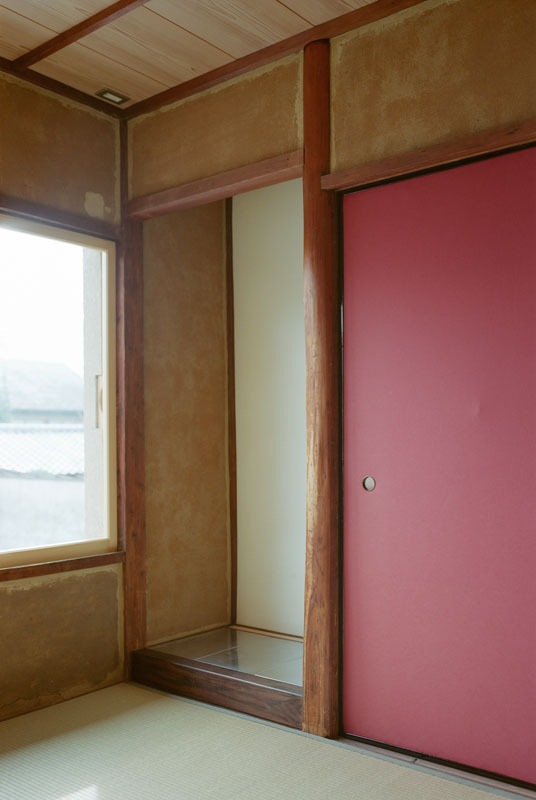 It is composed of the original structure (omoya) and a first-floor extension to the south and west sides circa 1965-80. 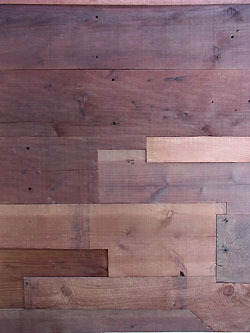 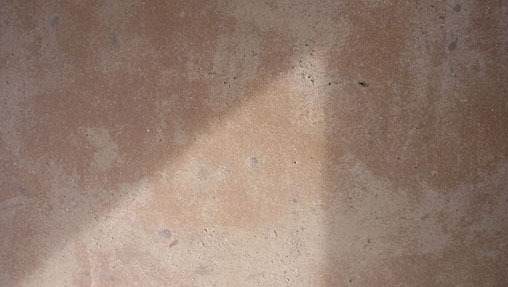 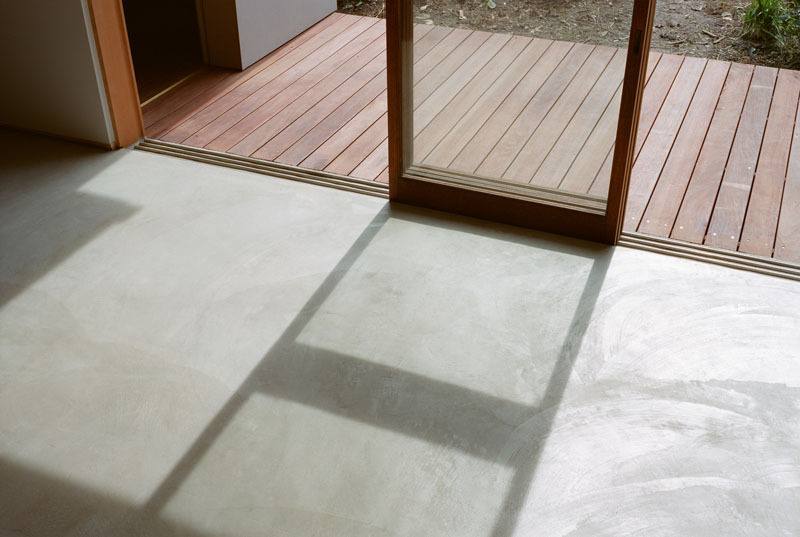 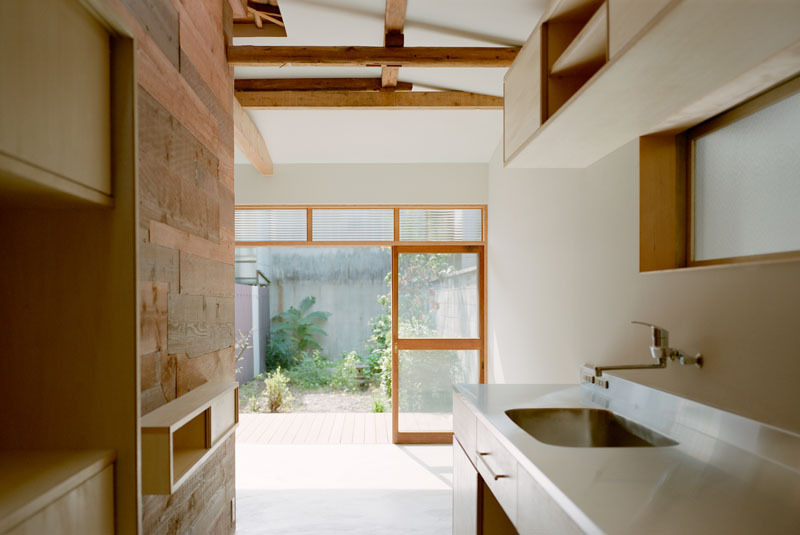 The floor plan and the finishing materials changed significantly through a series of haphazard modifications. 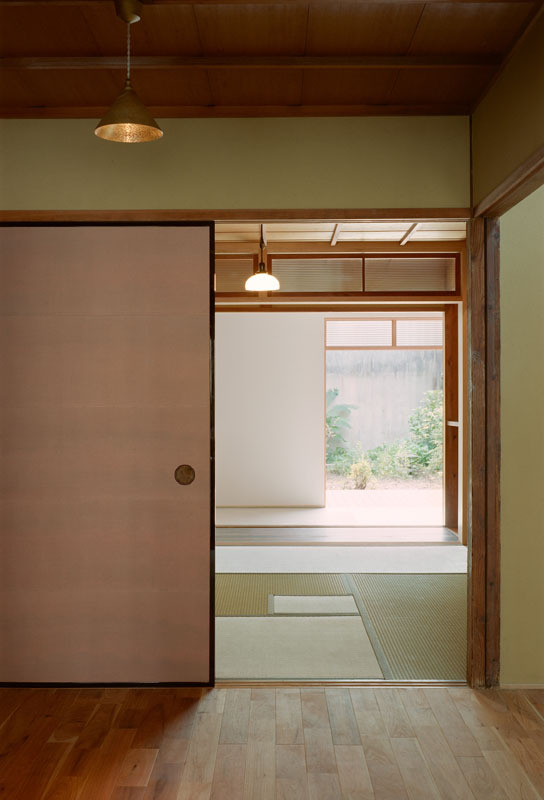 However, there also existed some attractive elements that effectively captured the "timeline" of the house as it passed through this series of renovations. 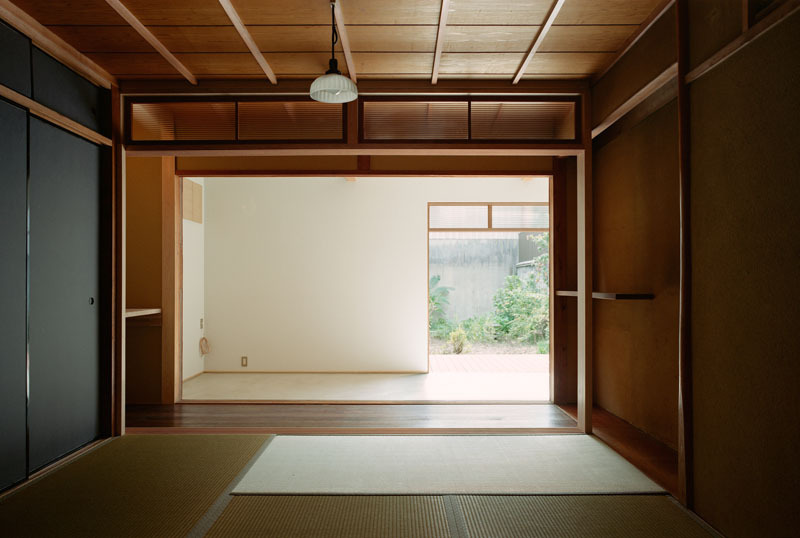 In particular, the L-shaped addition created a novel linkage between the omoya and garden which would rarely be seen in a newly-built house. 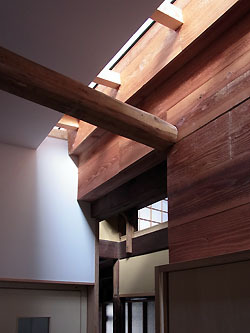 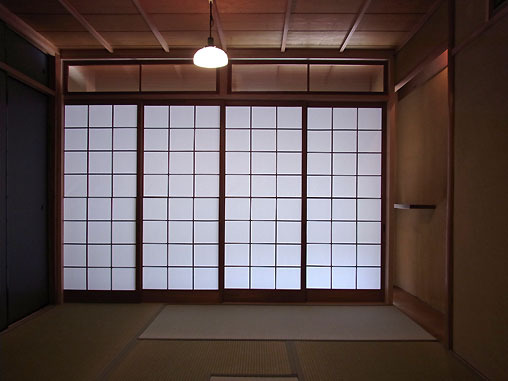 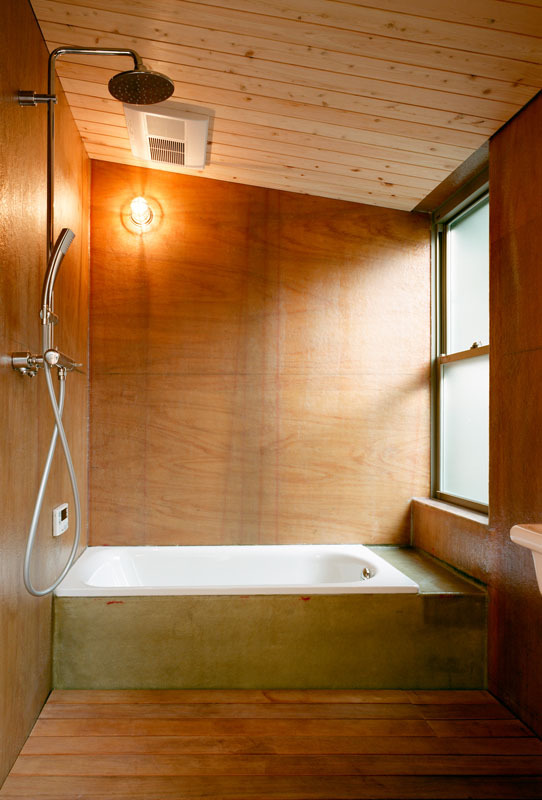 The clients lived in San Francisco for 15 years prior to moving to Kyoto. 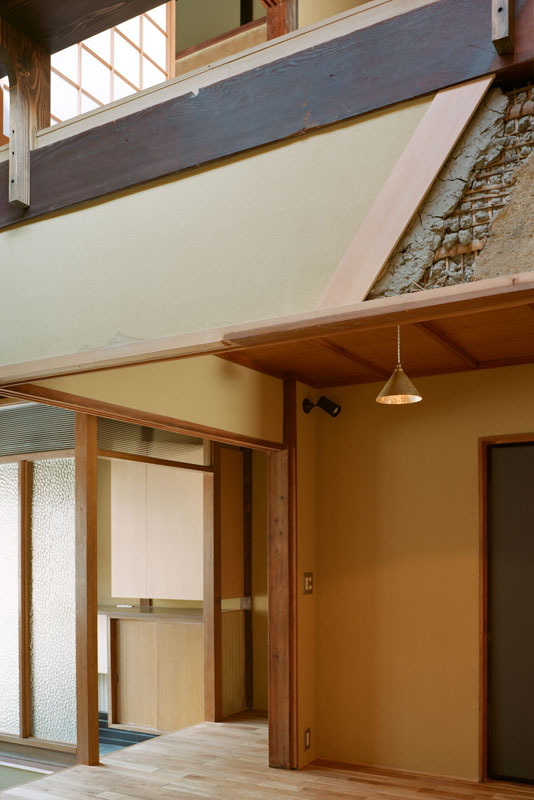 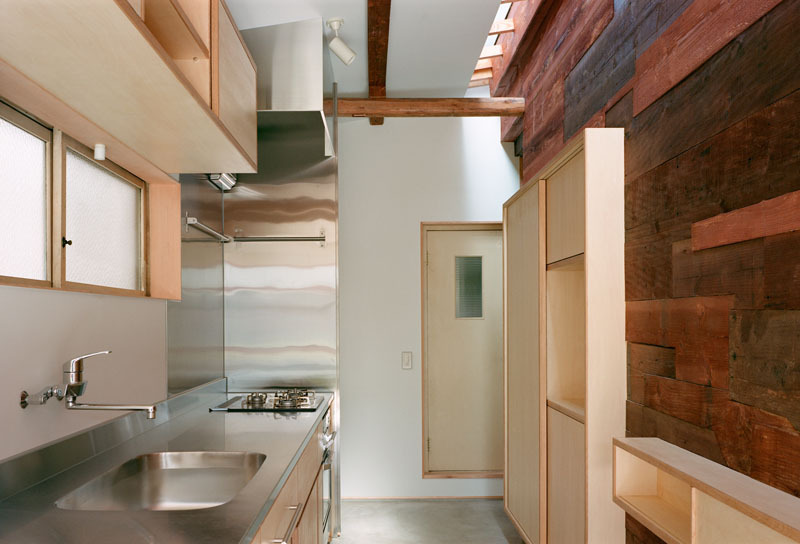 From the onset, they had a clear demand (unusual for Japanese) for a home that combined authentic and aesthetically rewarding old elements with simple, undisruptive new ones. 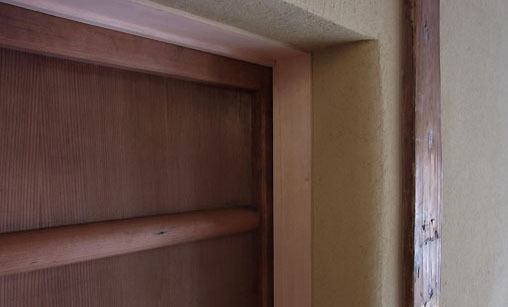 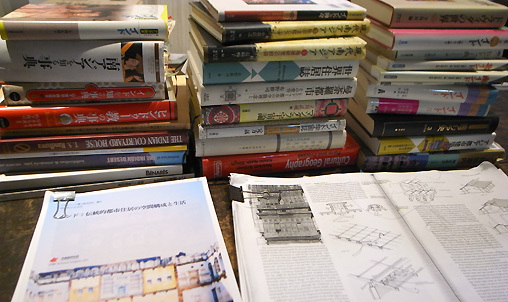 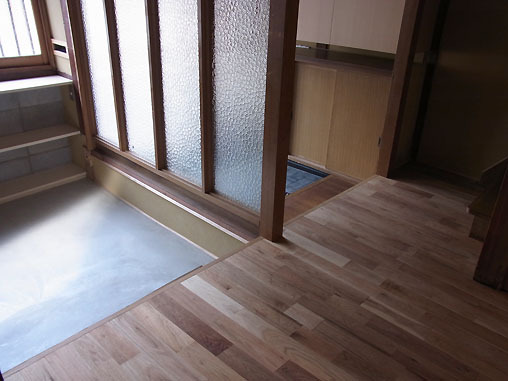 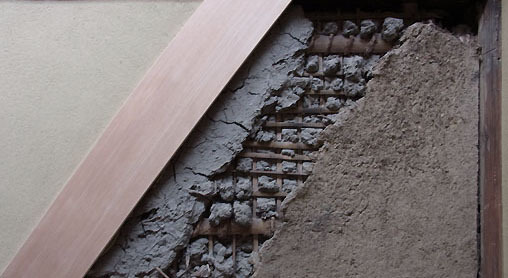 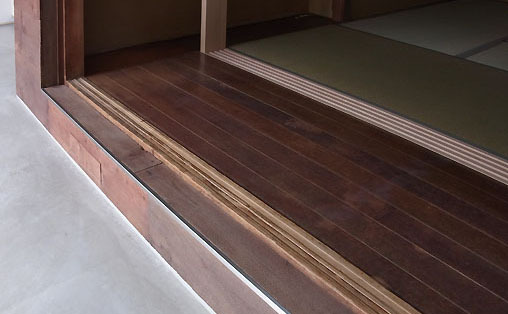 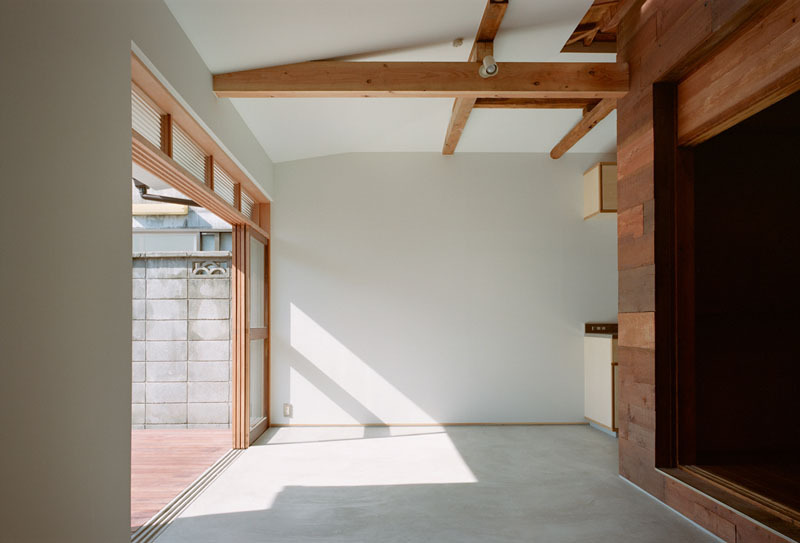 There exist two typical approaches to remodeling Kyo-machiya. 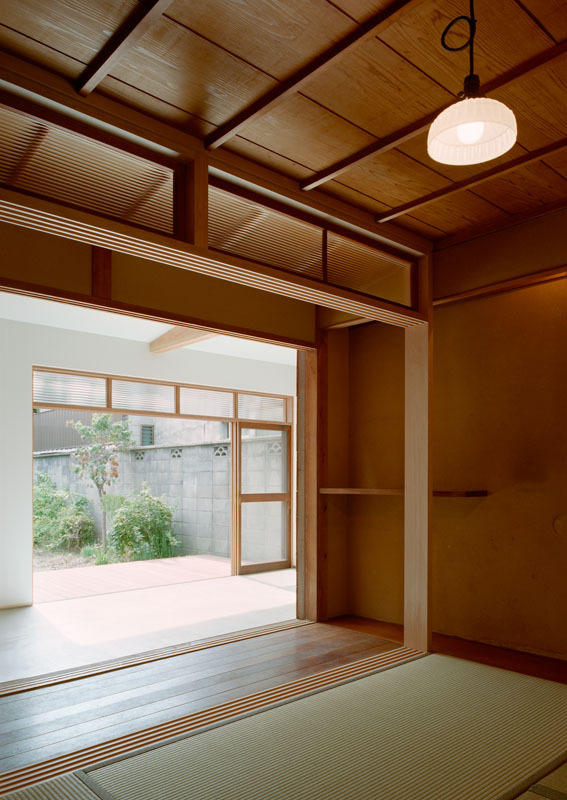 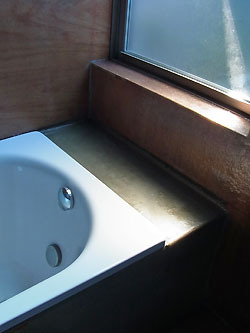 One is to preserve only the basic stucture (or shell) and modernize the interior. 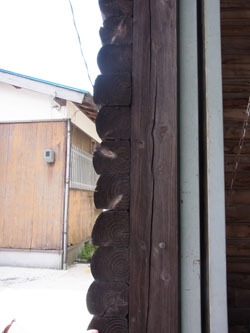 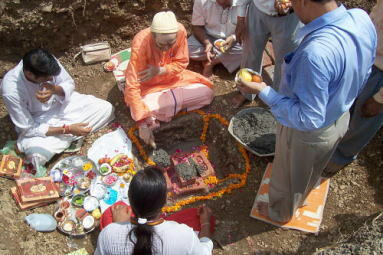 The second is to regard the structure as a traditional "artifact" and restore it to its original state. 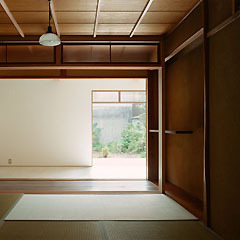 Although I don't intend to rate these two approaches, both share the perspective of focusing on one point in time (the present or the origin), and not considering the passage of time running through the home. 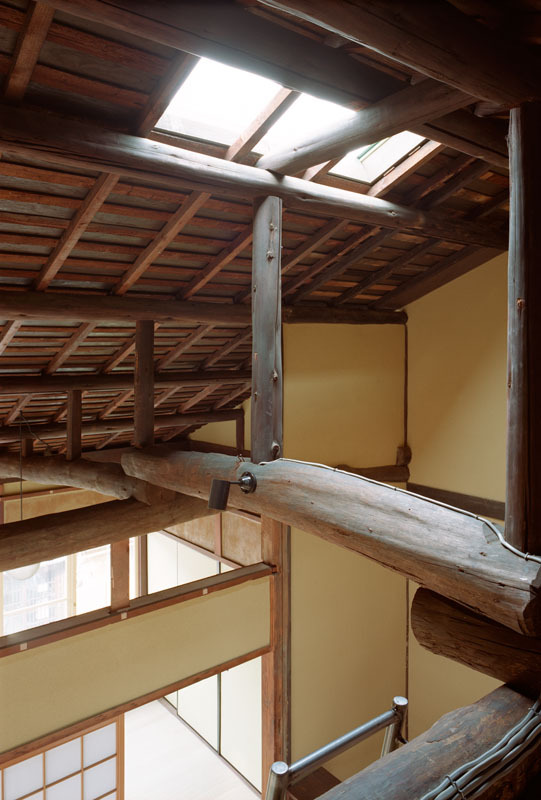 Many Kyo-machiya built in the early 20th century have undergone numerous renovations over the years, and these events are generally not acknowledged in the new design. 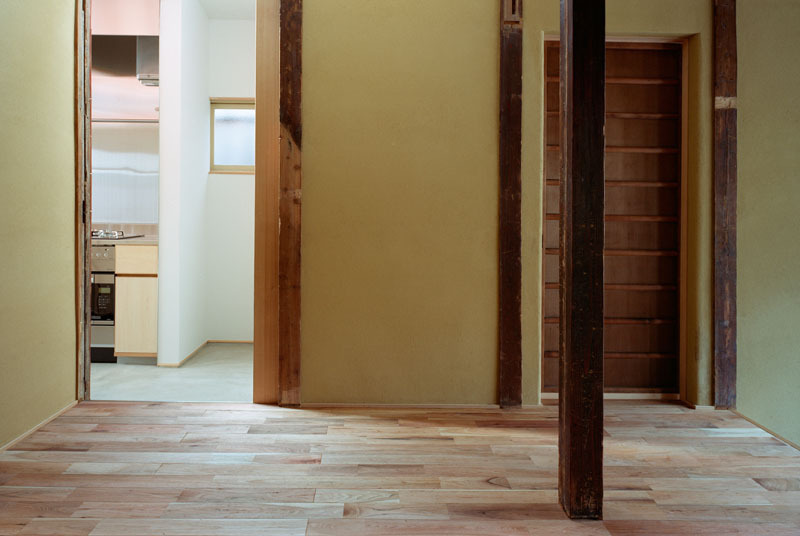 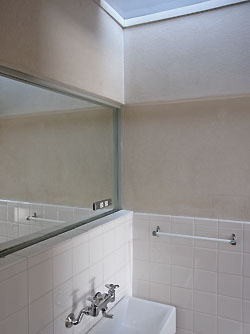 Unadmirable remodelings are often encountered, but they are indeed a part of the accumulated architectural history. 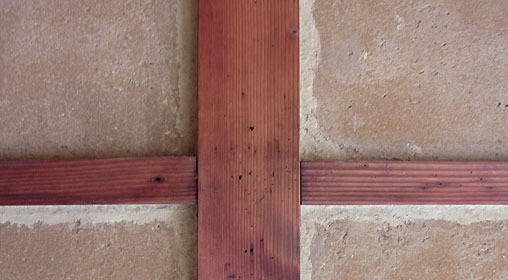 I wonder if we can gently accept this timeline as valid, and "layer on" a new life rather than wiping an old one away. 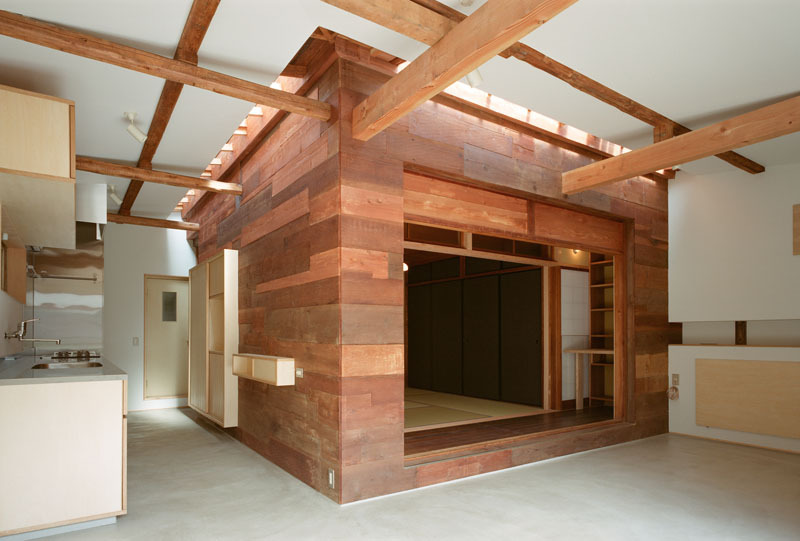 Maybe we could utilize this approach to enrich the broader architectual landscape as well. 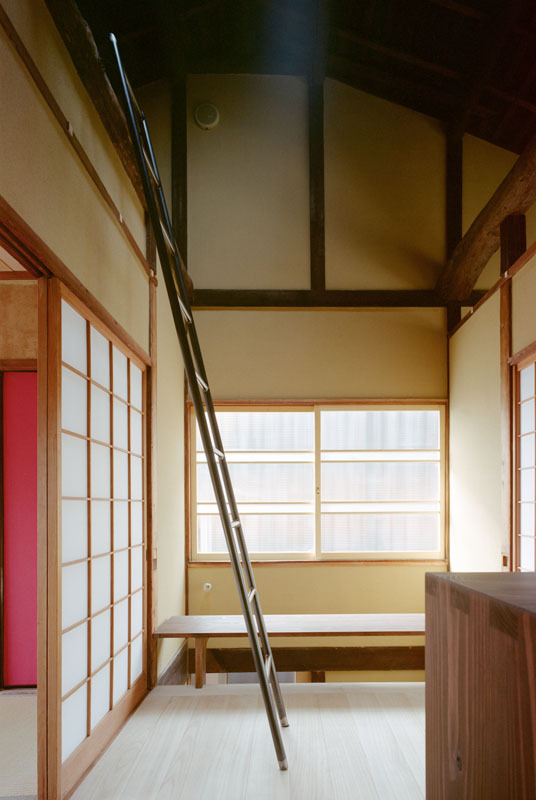 "TIMELINE Machiya" was named by the client to represent the passing of time, both of the structure itself, but also of the project, from the initial consulting through to the construction and finishing. 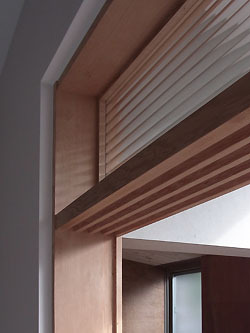 This secondary timeline was also deemed important, as a variety of design changes were made as the project progressed and the evolving structure revealed new approaches and ideas.